Castel, a leading supplier of refrigeration and air conditioning components, is a 100% Italian-owned family-run company established in 1961. 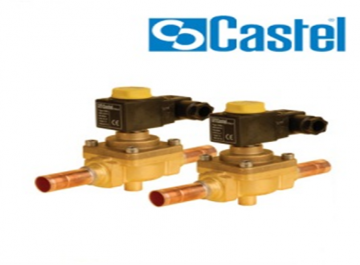 The vast range of Castel products include: thermostatic and electronic expansion valves, solenoid valves, coils, connectors, safety devices, pressure switch valves for water, pressure regulators, indicators, filter driers, mechanical filters, oil level control systems, valves for refrigeration systems, vibration isolators, brass fittings and Schrader valves. 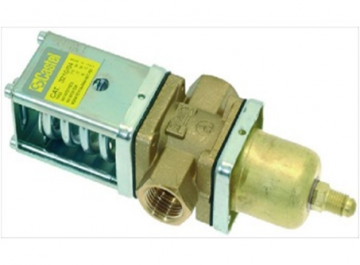 Solenoid valves are designed for installation on commercial refrigeration systems and civil and industrial air conditioning systems employing the following refrigerants: R22, R134a, R404A, R407C, R410A; R507 in Group II. Contact Castel’s Technical Office for information on specific applications with refrigerants which are not listed above but do belong to Group II. Available in normally closed or NC and normally open or NO versions, with connections from ¼&amp;quot; to 2.1/8&amp;quot; and a vast range of reels and connectors. Series "22" thermostatic valves are designed to work with the interchangeable ori?ce assembly to ensure ?exible choice of potential and may be used in a vast range of different applications. 2028 ON/OFF valves control liquid flow on the basis of the criterion of pulse width modulation or PWM. 9 interchangeable orifices are available. Series 3030 and 3060 valves are safety accessories according to the de?nition contained in Directive 97/23/CE and are subject to the requirements of the Directive. 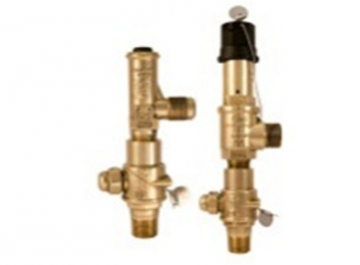 These valves are conventional unbalanced direct load safety valves. Series 3070 rupture discs are pressure limiting devices which open at a certain pressure and cannot be reclosed. 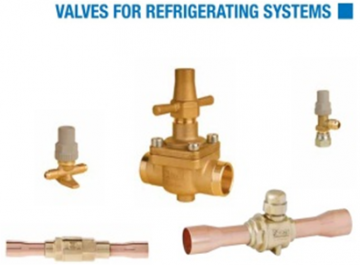 Check valves and stop valves are designed for installation on commercial refrigeration systems and civil and industrial air conditioning systems employing the following refrigerants: R22, R134a, R404A, R407C, R410A; R507 in Group II. Contact Castel’s Technical Office for information on specific applications with refrigerants which are not listed above but do belong to Group II. 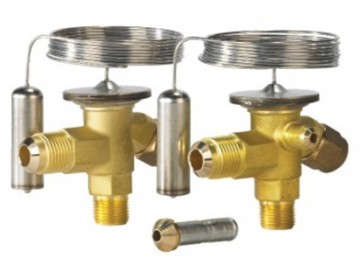 Threaded brass connections Designed for installation on systems using the following refrigerants: R22, R134a, R404A, R407C, R410A; R507 in Group II (as defined in Article 9, Point 2.2 of Directive 97/23/CE, with reference to Directive 67/548/CEE). 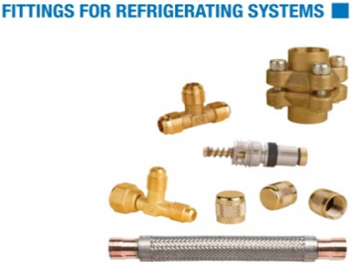 Contact Castel’s Technical Office for information on specific applications with refrigerants which are not listed above but do belong to Group II. 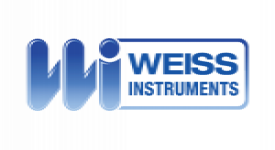 Vibration isolators Vibration isolators are installed on commercial refrigeration and civil and industrial air conditioning systems to eliminate transmission of vibrations generated by the compressor to the pipes in the circuit. They also reduce noise and compensate for slight thermal dilation. Vibration isolators are designed for installation on systems using the following refrigerants: R22, R134a, R404A, R407C, R410A; R507 in Group II (as defined in Article 9, Point 2.2 of Directive 97/23/CE, with reference to Directive 67/548/CEE). Contact Castel’s Technical Office for information on specific applications with refrigerants which are not listed above but do belong to Group II. Access fittings and mechanisms All filling fittings and mechanisms illustrated here are excluded from application of Directive 97/23/CE in that they are classified as piping components, as stated in Guidelines 1/8 and 1/9. Access fittings permit quick, economical creation of a filling or bleed point. Once filling or bleeding operations have been completed, a sealed cap (code 8392/A or code 8391/A) prevents all possible refrigerant leakage.